+++ ATTENTION +++ Program changes +++ News! 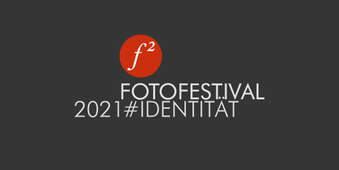 The f² festival presents contemporary positions and tendencies in photography and will take place for the first time in Dortmund from June 22 until July 16, 2017. The platform of this comprehensive, curated concept consists of a concentrated talk program as well as exhibitions that take place in different locations in Dortmund. The 2017 exhibitions will deal with the topic of „limits“. What are limits? Do we need limits? The philosopher Konrad Paul Liessmann said: „One could literally translate the word definition with limitation. Every time we define a word, we limit its content. We have to do this in order to communicate as human beings, on the one hand, and on the other to make the world comprehensible. Mankind cannot help but draw lines and fix limits everywhere.“ Is there such a thing as good and bad limits? Limits create dividing lines that help us to distinguish between things. They keep us moving, motivate us, and provide points of orientation. The sky is the limit. At the same time, limits divide worlds – spatially and temporally, socially and culturally. They provide points of contact and common ground, zones of transition and zones of surmounting that which divides. They give us a chance for transformation and change. There is a multitude of limits: geographic and political borders, custom borders, economic limitations, physical limitations, social and personal boundaries, legal boundaries of property, cultural barriers. Our conscience also provides ethical boundaries for our actions. Contemporary positions will be shown, including diverse approaches to photography such as photojournalism, staged photography, experimental photography, documentary photography, street photography, still life and more. The organizer and coordinator of the festival is the Depot e. V. in cooperation with FREELENS e.V. (Professional Association of Photographers). The program of the festival is realized with a network of partners (exhibition places, universities) and sponsors. For further information please contact the festival office.